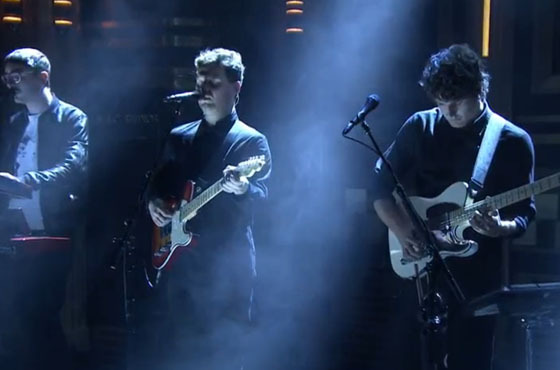 Mercury Prize-winning UK indie rock crew Alt-J gave last year's This Is All Yours another push last night (March 31) by appearing as the musical guests on The Tonight Show Starring Jimmy Fallon. The performance followed the band's sold out gig at Madison Square Garden, and while the television studio stage may have been scaled down a bit in comparison, the band still delivered a fine rendition of previously released single "Every Other Freckle." This Is All Yours is available now, and you can check out the band's late night appearance on Fallon's show below. Ryan Adams Says Alt-J Are "Like a Mosquito Bite — If You Ignore It, It'll Go Away"